Here at Insight TV, we are continuously looking to support interns kick-start their careers. We are on the look-out for interns that thrive in an international environment that is dynamic, hands on and fast paced. And most importantly: someone who is adventurous in their approach and driven to develop. At Insight TV, we pride ourselves on providing meaningful experiences for our interns. We offer a welcoming and inclusive environment with extensive development opportunities and all interns will have the opportunity to learn and ask from industry leaders. We are a vibrant, international office with freedom and responsibility at the core of our culture. We distribute our content all over the globe and at present we have 22 various nationalities working with us. So, if an international, dynamic environment appeals to you, this is certainly the place to be. 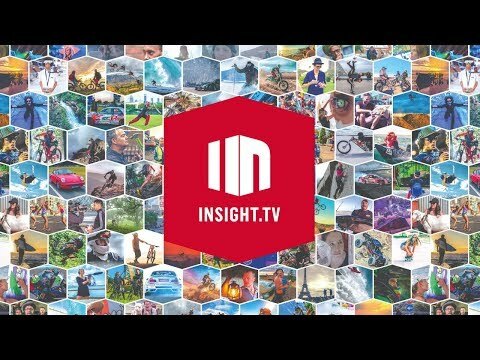 Insight TV is the world's leading 4K UHD channel, featuring adventurous shows.We produce our own content, and as content creators, we are all about taking our viewers on an adventure. In all of our content, we focus on telling vivid stories about trending communities through global influencers. Lorraine Candlish. Please apply with your CV, including details on your preferred start date and duration of the placement.